Full-fledged stylus control for the mac. Please note that there is no windows version. We believe everybody deserves a free smoothing function. Here. You. Go. Use it with Paint & Stick! Hej Stylus! is a control system for your graphic tablets pen, mouse or other input method. Gain control over the smoothness of your lines – damp out little irregularities up to using Hej Stylus! like a ruler. It's pressure control system lets you define pressure control curves has pressure smoothing and buffering. Also the tilt and rotational information that is delivered by the graphics tablet can be processed. You can store, recall and exchange your personal presets with others . This gives you a wide range of possibilities to configure your pen, mouse or other input method to create awesome art with any software that is running on a mac. Position smoothing was Hej Stylus!' v1.0 only feature – now free for everybody. The new position algorithm compares your cursor position to its prior one. 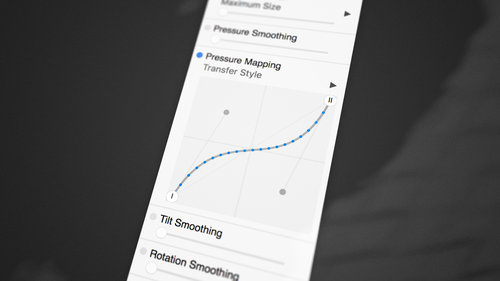 Drag the slider a bit to remove small noise – drag it all to the right to draw straight lines. This smoothing method is very suitable for painters hence it can be very subtile and fast at the same time. It also catches up to your 'line-ending' position. Pressure Smoothing works like the new Position Smoothing Method and is suitable for casual sketching/drawing and painting. The Pressure Buffer works like a stack of values: beginning with 0 it starts collecting data and creates an average on a given buffer size. It is very useful for building up the line smoothly and keeping it steady – while crosshatching for example. The cooling-off-time can be pretty long – depending on your buffer size. Tilt and Rotation Smoothing works also like the new Position Smoothing Method. Painting with large, rake-like brushes is now more powerful than ever before. The new pressure mapping function takes the pressure output of your stylus and maps it along the either a linear function or bezier function. Emulate hart/soft media behavior – even invert pressure. Or just go wild with the bezier function and make your lines look like gooey ink. All this is possible. Now. Wonder what that .hej file is? Yea, exchangeable presets. Hej Stylus! has become quite powerful now. To not distract you from your work by pushing and pulling sliders all the time you can now store favorite settings via the menu-bar menu and give 'em names. Later on you can manage (rename / reorder / delete) your presets and save them to file. Or load some of your friends' presets. For comfy swapping we've added shortcuts to cycle through them – with a little onscreen badge you always know what preset is 'on'. "I need help! What do I do?" Check out the 'TUTORIALS' above and the Setting Up Hej Stylus! pdf included with the download. Still in trouble? Open a support ticket – I'm here. How can I help you? "Why is the demo only 24 hours?" 24 hours should be enough to determine if Hej Stylus! 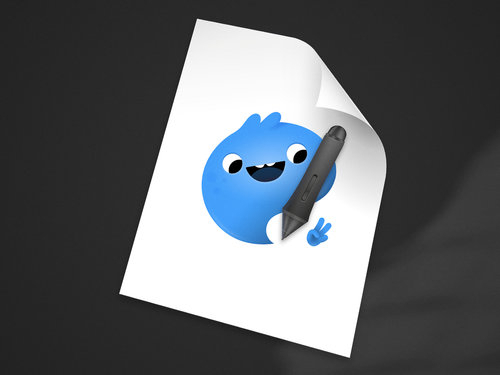 is an awesome application for your working style. If you just use it rarely, Basic Mode will be probably sufficient for your needs. Open a support ticket – I'm here. We already have a bunch of requests (to fulfill) and tried covering them in the 2.0 Version. We're also keen hearing yours. "Is there a free update for future versions planned?" All 'big' updates with involving new features will be paid updates with a discount for existing customers. Smaller updates such as bug fixing and little improvements will be free. "Why did you drop support for older OS Versions like 10.8.5 or 10.9?" We make use of new technologies featured introduced with OSX 10.10+. and will concentrate on new features for the the more recent OS versions. "How does Hej Stylus! differ from the new smoothing in Photoshop CC2018?" While the new smoothing option in Photoshop offers similar position smoothing, Hej Stylus! offers Pressure, Tilt, and Rotation smoothing, as well as Pressure Mapping with more to follow soon. Hej Stylus! is additionally easy to toggle on / off unlike Photoshop’s brush-nested preferences activation (which can get tedious quickly). Finally, Hej Stylus! works globally so it can be used in other art software such as After Effects and of course in older versions of Photoshop.